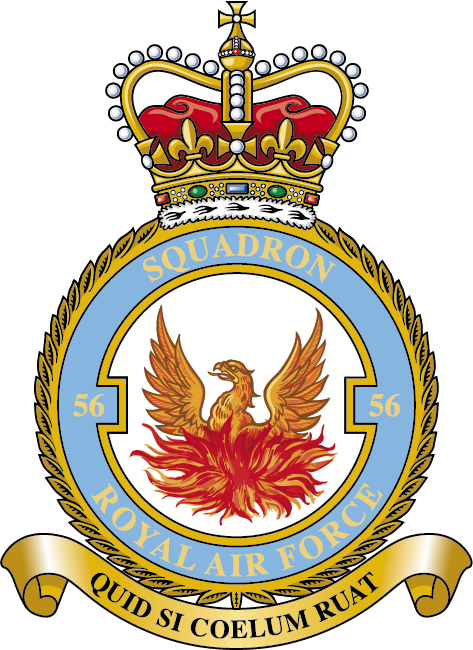 Welcome to the official website of the 56 Squadron Association. No. 56 Squadron has a distinguished history, going back to its inception in 1916 with famous aces such as Captain Albert Ball and Major James McCudden, both Victory Cross recipients. This website seeks to honour that history, with a mission to provide the most comprehensive source of Squadron history available on the internet. We seek to do this through a combination of extensive original material and comprehensive links to other websites covering the Squadron's history. The website will also provide information on the current roles of the 56(Reserve) Air Command and Control, Intelligence, Surveillance and Reconnaissance Test and Evaluation Squadron, and information on upcoming association events, such as the Annual 56(R) Squadron Association Dinner. If you are a former member of 56 Squadron, you are most welcome to join the Association, especially as we look forward to the Squadron's centenary in 2016. 26 March 2017. On this day, 100 years ago, No. 56 Squadron sadly lost one of its pilots, 2nd Lieutenant John Leask. His story has been added to The Firebirds. 1 April 2017. The Squadron was stationed at Newchurch April to September 1944. The Newchurch Parish Council has announced plans for the unveiling of memorial plaques commemorating the squadrons that served there, to take place Saturday, 23 September 2017. Click here for details. 7 April 2017. On this, the 100th Anniversary of the deployment of No. 56 Squadron to France, a biography of Captain Henry Meintjes, who led the Advance Party, has been added to The Firebirds. Approved by King Edward VIII in July 1936, the phoenix was chosen to underline the Squadron's ability to reappear intact regardless of the odds. Originating in 1924, the red and white check pattern came streaking into the public eye when the Squadron was the RAF display team in 1963.